This is a guest blog post by Juri Strumpflohner. Juri is a full-stack developer, architect and tech lead with a passion for frontend development, especially Angular. Juri writes technical articles on his personal blog and is the author of some online video courses. He also likes to engage and help the Angular community on Twitter, so follow him for more interesting news and articles around Angular and frontend web development. Juri was an attendee of NG-BE, Belgium’s first Angular conference last week and did a better job covering our announcements than we would have done, so we are cross-posting his blog post here. Update: This blog was updated by the Angular team on 2017-01-26 to reflect the latest naming standards. I'll be conducting a major open source experiment at @ngbeconf tonight at 10pm downstairs in the main room. Come if you want to participate. 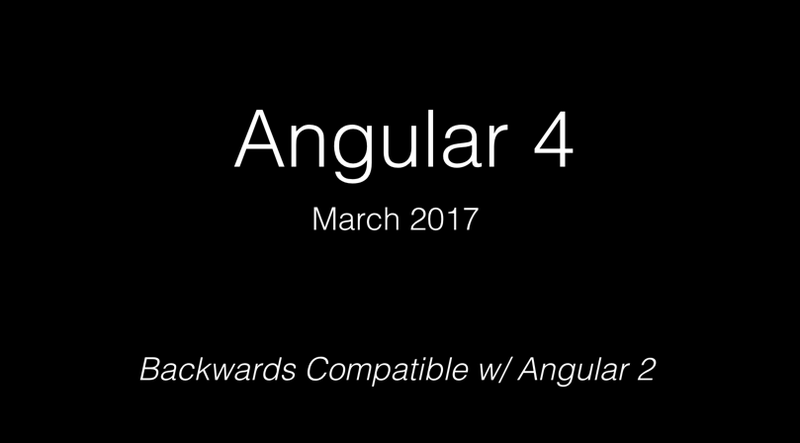 Why Angular 4?? Why even Angular 3?? What is going on? 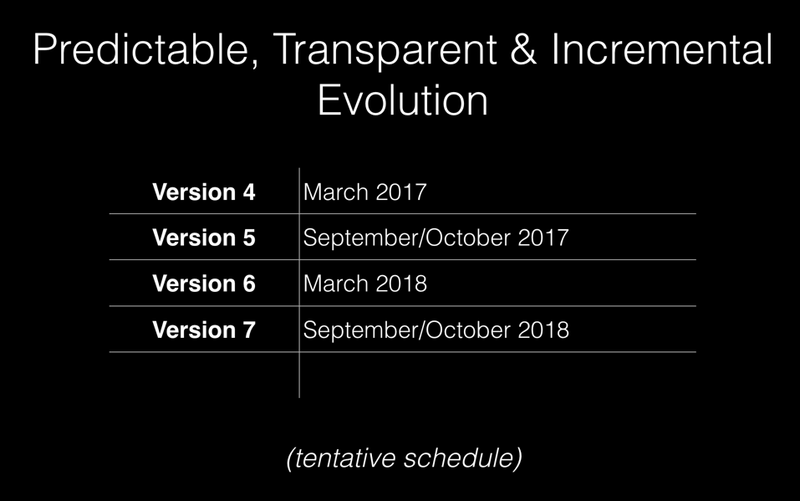 Back in September when the new Angular was finally released, the Angular team also announced they will switch to Semantic Versioning (SEMVER). 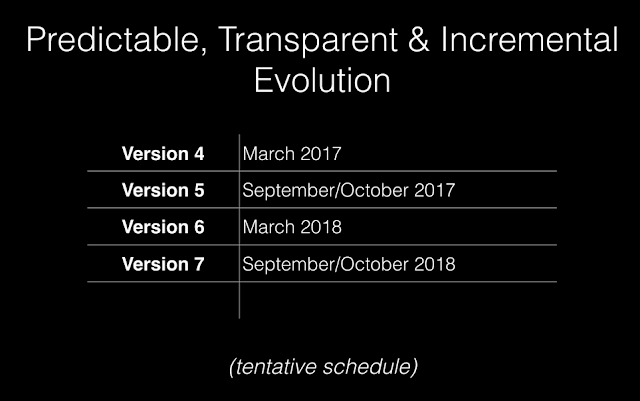 As the name already explains, Semantic Versioning is all about adding meaning to version numbers. This allows developers to not only reason about any upgrade we do, but we can even let tools such as NPM do it in a automatic and safe manner for us. Whenever you fix a bug and release it, you increase the last number, if a new feature is added, you increase the second number and whenever you release a breaking change you increase the first number. So what does this mean for the Angular team? As with every evolving piece of software, breaking changes will occur at some point. For example, giving a compiler error for existing application bugs that went unnoticed with the previous compiler version, anything, that will break an existing application when upgrading Angular, requires the team to bump the major version number. Just to be clear, as also Igor mentioned in his talk. Right now, even just upgrading Angular’s TypeScript dependency from v1.8 to v2.1 or v2.2 and compile Angular with it, would technically cause a breaking change. So they’re taking SEMVER very, very seriously. Breaking changes don’t have to be painful! 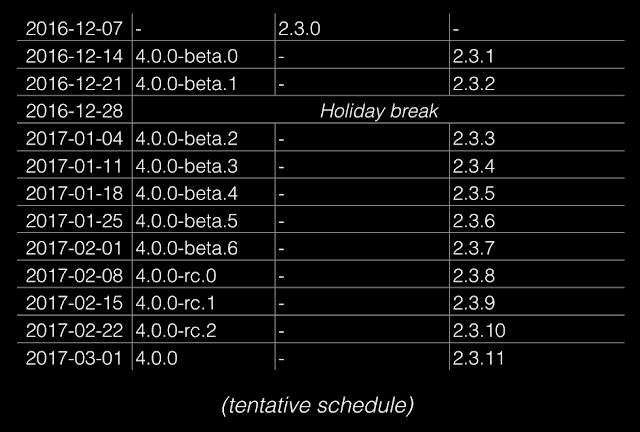 Internally at Google, the Angular team uses a tool for handling automatic upgrades, even of breaking changes. This is still something that has to be planned in more detail, but the team is working hard on making this tool generally available, most probably in 2017 in time for version 5. Basically from now on, you should name versions 2.0.0 or later of Angular simply “Angular”. Try to avoid using the version number, unless it is really necessary to disambiguate. That helps avoid confusion for your readers, especially when you are writing about specific APIs. Due to this misalignment of the router package’s version, the team decided to go straight for Angular v4. In this way again, all the core packages are aligned which will be easier to maintain and help avoid confusion in the future. Also it is important to understand how Angular is being used and integrated inside Google (Igor speaks about this here in his keynote). All Google applications use Angular version equal to the current GitHub’s master branch of the Angular repository. Whenever a new commit lands in master, it will be integrated into Google’s single, giant mono-repo, where also other products such as Maps, Adsense etc. live. As a consequence all of the projects using Angular internally at Google will run their extensive test suites against this new version. This makes the team very confident to cut a new release, since it will contain the exact combination of versions of Angular packages that have been already battle tested inside Google. Thus, having aligned versions totally makes sense and makes it easier to maintain them over time, which in turn helps the team be more productive in releasing new features.